The Scottish Thistle, also called the cotton thistle or spear thistle, was adopted as the Emblem of Scotland during the reign of King Alexander III (1249-1286). The story goes that in 1263, King Hakon of Norway sent a fleet of 100+ ships to invade Scotland. Some of the invading Norwegians attempted to come ashore at night, and in an attempt to make little noise, removed their footwear while sneaking towards Alexander’s armies. When one of the invaders stepped on a thistle and cried out in pain and surprise, the Scottish guards heard his cry, and were able to wake up and defend themselves successfully! 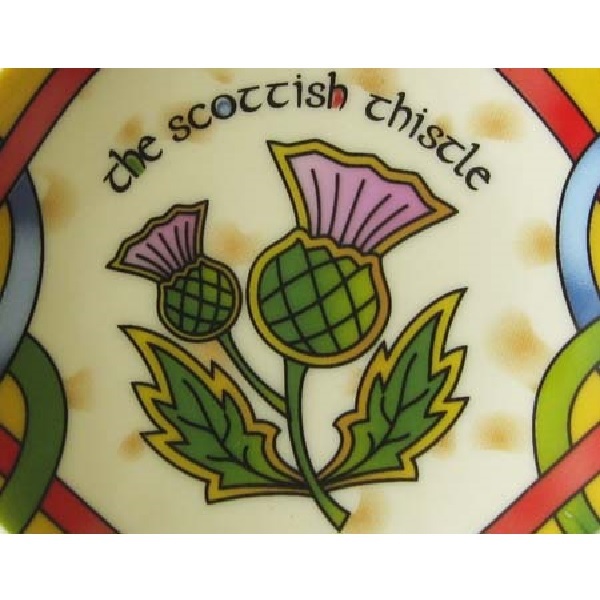 Scottish King Kenneth III was so grateful that he adopted the thistle as his nation’s emblem.